Consumer debt is at all time highs and the interest on carrying large amounts of debt is very expensive. Carrying less debt is something that every household should strive for. This guide is a guide about getting out of debt. Friends and family have called me a tightwad or a cheapskate. I prefer to be called "frugal"! About 12 years ago, my husband and I came to the bright conclusion that we had too much debt (after only 3 years of marriage!) We also realized, given our current debt to income ratio, we would NEVER be out of debt. So, we got a consolidation loan to cure our problem. Our cure didn't work because, as a lot of people do, we continued to accrue debt. It was growing quickly! Our second problem was that I desperately wanted to quit work and stay at home with our baby daughter. By this point we were coming to the realization that we needed to do some things drastically different! 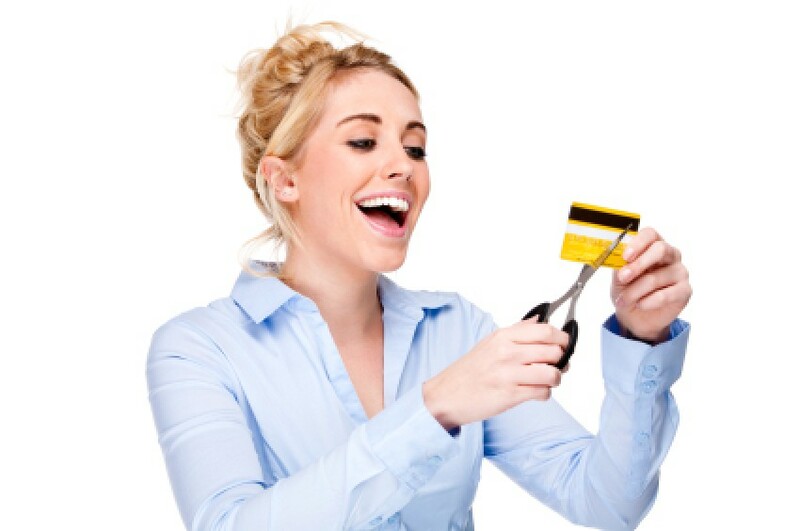 So, we cut up all of our credit cards and tried to pay down our debts as much as we could (we started using Mary Hunt's Rapid Debt Repayment Plan). I was learning that paying down debt is like dieting: It's great to lose weight but if you don't CONTINUE your new healthy eating and exercising, the weight will come right back on (and usually twice as much!) It was at this time that I realized getting out of debt and STAYING debt free was more than a budget on paper but it was a heart issue; learning about contentment, thankfulness and frugality. We were able to get completely debt free in about 3 years (with only my husband's income). We lived on A LOT less and learned to love it! During those 3 years, I read all of Mary Hunt's books, "The Tightwad Gazette" by Amy Dacyczyn, and "Living On Less and Liking It More" by Maxine Hancock. When someone has had a negative behavior, they can't just stop it and continue living like they had before. It helps to have something new, a new positive habit to replace the bad. That, my friends, is exactly what becoming frugal did for me! At first, it was a game (How much money can I save with coupons this week). However, it quickly became a lifestyle. Since we have become debt free, we have built our own home in the country with acreage. We raise pigs, our own chickens, and we have our own orchard and garden. I've always loved to garden but recently I read "Growing Your Own Groceries" by Kimberley Eddy. This book was very encouraging and informative on how to grow and can enough food for your family for a year. We have 4 children, so saving on groceries is a constant challenge for me. Leaving the grocery store, knowing I've only spent $75, gives me a greater high than I ever received from charging stuff at the mall! One major tip I have about being frugal is: Give away a portion of all that you make. When you give, it always comes back as a blessing! Don't confuse being frugal with being stingy or selfish. Instead, being frugal frees up money so you can give more away. Once you become a frugal minded person, there is no turning back. I know some people may roll their eyes, thinking one can go too far in being a tightwad. I agree with Maxine Hancock in "Living on Less and Liking it More", she says: "We sit in our living rooms and look into the unseeing eye of our TV sets and see not just individuals but entire cities and nations going bankrupt. And at the same time, we look into the empty eyes of swollen-bellied children of famine who are somehow, impossibly, still alive. And we know that somewhere, in some way, we are all personally responsible." But just sitting around with vague guilt feelings haunting us is hardly a sufficient response. We need to seriously reevaluate our whole set of life goals and to ask ourselves, "Where are we now? And where are we going?" We must put to ourselves the question worded by World Vision director, W. Stanley Mooneyham, "Is my life style supporting a famine somewhere in the world today? If we are, indeed, people not content to sit back and wait in helplessness for the breakers of present and future shock to overwhelm us, we need to become actively involved in adjusting our goals, expanding our ethic, and moderating our life-style to meet the needs of this changing age." Aleksandr Solzhenitsyn spent 7 years at a Soviet prison camp; the world would be a better place if we would follow his advice. He says, "What about the main thing in life, all its riddles? If you want I'll spell it out for you right now. Do not pursue what is illusory- property and position: all that is gained at the expense of your nerves, decade after decade, and is confiscated in one fell night. Live with a steady superiority over life - don't be afraid of misfortune and do not yearn after happiness. Our envy of others devours us most of all. Rub your eyes and purify your heart - and prize above all else in the world those who love you and wish you well." I love my frugal life! Begin with your debt that has the highest rate of interest. Now pay the minumum payment plus 5%-10% of your monthly income, whatever you can commit to on a regular basis. Continue to pay the minimum payment on all other bills for now. When the first bill is paid off (WOOHOO!) take the amount of the 1st bill's min. pay.+ the 5%-10% that you had been putting onto the 1st bill and add that to the min. pay. for the second bill. Pay this every month until the second bill is paid in full. Continue to pay the min. pay on your other bills. Now that you have the second bill paid off, take the min. pay. from the 1st bill, the min. pay. from the second bill, and the 5%-10%, and add this to the min. pay. for the 3rd bill. Now you are making a nice payment to this bill and it is being paid off more quickly than usual. Of course, continue to pay the minimum payment on your other bills. Keep up the good work! By the time you get to the 4th bill you are making what will seem like lump sums to paying off this bill. The trick is to keep the money that you were putting on bills going to paying off bills instead of incurring more bills with the extra money each month. As with anything, this takes time, and as a result, takes patience. I would also add that you must begin to live more frugally, learn to tell a want from a need, and enjoy the contentment that can come from being in control of your finances instead of them controlling you. This is not something that is easily or quickly done. The first thing you need to do is get rid of any credit cards. Make as much as you can for payments on any loans or credit card bills you currently have. Before you ever borrow money for something make sure that it really needs to happen. I am 31 years old and own my home (owe nothing), I drive an older car that I saved money for and paid cash. I only have to pay monthly living expense bills. Due to this when I lost my job the beginning of this year we were able to survive on my husbands income. Our rule of thumb is if we can't pay for it now we don't have to have it. If we really want it then we save for it. My husband just built a garage this summer that we paid for with money that he has saved for the past 5 years. It would have been nice to have the garage 5 years ago but we survived with out it. Dont make any new debts. Pay off your debts starting with the one charging the highest interest. Make minimum payments on the others. When you get the one charging the highest interest paid off, start on the one with the 2nd highest interest and pay that one off, and so on. Do this until all debts are paid including your car and your house. Do not acquire any more debts until all your current debts are paid off. Make a distinction between "wants" and "needs." Sit down and really look at your bills. Is there anything you can cut? For example: Keep the basic phone service but get rid of call forwarding, call screening, and anything else you are paying extra for. Keep the basic cable but get rid of the "premium" channels. Do you subscribe to lots of magazines? I was shocked and appalled to realize how much money I spent on subscriptions. $10 here and $10 there adds up and I hardly had time to read them anyway! I contacted all my magazines and asked them to stop service immediately due to "financial difficulties" and refund the unused portion of what I had pre-paid. I wound up getting about $30 back! The secret is, whatever money you get back, you add to any other "found money" (like the amount you have saved by reducing other services) and you apply this money to your debt. Another huge difference for me was sending an additional payment as soon as I received "found money" instead of waiting to send it when the bill was due. Your credit card company or other people you owe money to will be happy to accept a payment at mid-billing-cycle, call and get instructions, and be sure to put your account number on the check. That way, you won't be tempted to spend the money on anything less important than getting out of debt. YOU CAN DO IT!!!! First, spend 2 weeks-a month writing down every penny spent. Even the quarters you drop in the charity bin. You'll be surprised how much the little things add up. Then use your red pen to mark the unnecessary expenditures. Entertainment and convenience foods are big ones. These expenditures can be cut, and the money used towards paying off debt. Figure out what you owe, and how much "extra" in fees you are paying everyone. Pay off the highest interest/lowest bills first. Hospital and college loans usually can wait the longest, don't put those on credit if you can make a deal. Pay minimum payments on all but one bill and put *everything you can* into that one bill. Once its paid off, do the same with the next card. If you have Discover or another card with good rewards, use it for groceries, pay it off completely each month, and use the rewards to pay extra bills or to buy essentials. The important thing is to cut your spending so you can pay off bills ASAP. For every day I don't buy a scratch-off lottery ticket, I put the $2 I would have spent on it, and put it into an envelope and as it builds up I take it and apply it to a debt. The average American credit card debt is over $5,100. While it may not seem like it, this balance is manageable. Within three yeas it can easily be paid off provided that new charges are not added to the debt. Making only the minimum payment on your debt not only lengthens the time it will take to pay off but it also ensures that you pay more interest. Why give them more of you money than necessary. Ideas and tips to help you stay motivated and inspired to pay off debt. Post your ideas. I just found a great financial resource. We all have issues around money, and a place to take those issues is Debtors Anonymous (or DA for short). I hope someone can help me with my problem. I am deep into debt and I would like to know if someone could guide me with a very basic easy way to get myself out of this ordeal. I have tried everything that i could and still I fall back. I am going to start this week when i get paid to get this monkey off my back. Could suggest a very simple and basic budget or using the envelope method what ever it takes. I don't want any thing that is to complicated right now. I am looking at about seven thousand in total debt that includes miscellaneous items and credit card debt. I also owe the IRS. What should i do first? I get paid bi-weekly total of 679.86 monthly. Also, I have a second job in retail so that check is not always the same, It goes by the hours I work. Help me please someone. I have been told that if you call to talk to the IRS, they can be helpful working out a payment arrangement and such. You could also contact any credit card companies and see if you can make arrangements for a lower payment or lower interest rate. Many companies have a department for people in trouble but you have to ask for it. Next step would be to CLOSE all the credit cards. You will always have some rationale for using them until you take away the temptation. If you do decide to keep one, for emergencies, make sure it is the one with the lowest interest rate and no annual fee. Don't keep it in your wallet, hide it at home somewhere. I've heard it recommended to freeze it in a block of ice in the freezer so you have to work to get it out. The best thing I did to better my debt situation was to set up automatic payments from my paycheck. Having two bank accounts can help this: one for household bills and the other for spending. Try to put a little bit in a savings account at the same. Another thing I did was to post my debts on a board, with balances and interest rates and show how they were decreasing every month. Any time I got a windfall: taxes, birthday money, whatever, I would put it toward the card that was at the highest interest rate or whatever one I could pay off entirely. Many people say to write down everything you spend so that you are aware of where the money is going. It isn't easy but you just have to refocus every day to get back on track. It is sort of like a diet. Get Jerrold Mundis' book HOW TO GET OUT OF DEBT, STAY OUT OF DEBT & LIVE PROSPEROUSLY. It's in paperback. 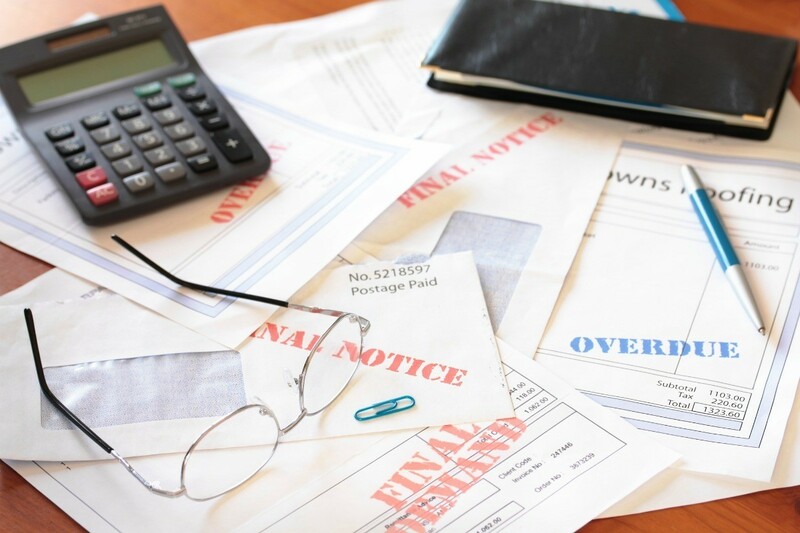 He follows the principles of Debtors' Anonymous and has a detailed plan as to how to deal with your creditors, establishing payment plans, and so on, which I used quite successfully! I also recommend Debtors' Anonymous as a great free resource - and, of course, learn as much about pennypinching as you can from this great site! Good luck. Everyone has had great suggestions. I would also suggest making a budget and sticking to it. Many people do find the envelope system a good way to do that. One great method for getting out of debt is called the "snowball" method. You pay the minimum amount on all your accounts except one. On that one account (either the one with the smallest balance or the one with the highest interest rate, whichever you prefer.) , you pay extra, even if it's just a little bit. Once that account is paid off, you apply that payment to the next debt and so on down the line until every debt is paid off. The most important thing is to not to accumulate anymore debt. I hope this helps. I know it can be done because we were once in the same boat also. Good luck! The snowball repayment is a very good way to pay off debt, but you have to have the will and focus to do it. Pay cash, no debit or credit cards. Also, don't spend the loose change, save it up, roll it up, cash it in & apply this down on your debts as well. NO CREDIT CARDS!!! CASH ONLY!!! I am an accountant and I would suggest that you have to make a budget of your very basic needs.Delete in your mind the unnecessary purchases.When shopping take with you a list and stick on the list. Avoid luxurious parties and dresses,shoes and bags. Yes, close your credit cards, pay in cash instead. I think you are spending lavishly. The suggestions are good. I am a pensioner on a low government income, plus I just work one day a week. I have NO debt, apart from the utilities as they come in, rent, power, phone, and I pay them promptly. How? No credit cards. Not true, I have one, which I got before a visit to Canada (fromAustralia) to see my brother and family 5 years ago. I paid it off promptly when I returned and have not used it again. Live simply and as frugally as you can. Pay the essentials first rent (or mortgage) utility bills, etc. 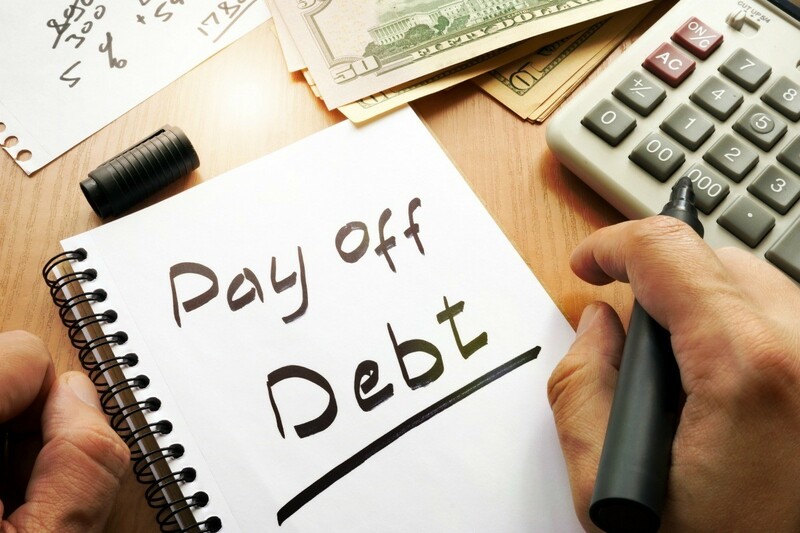 Seek professional help on debt consoilidation if you need to. You CAN do it! Best of luck! Check this book out at any library.. Title is - "I can't pay my bills"
I have just started reading it too and I too like you am in over my head with everyone including IRS except for house payments. Take care and I will be checking in and seeing how others respond. You can get a real live counselor for free to meet with you and work with you in person, for FREE, did I mention it's free? It's a group of volunteers who like to help people because it's rewarding to see lives unlocked and freed from the 'monkey'. Look online for Crown Financial Ministries, and find their links on Budget Counselors. I did, they were a most wonderful help. Yes, it's Christian, but it's all just to help you get back on top. God bless you! I presently survive debt free and contentedly on $500. a month. The secret is to find and break hidden expenses. For example, your Television set burns money. 1. Close it and deposit the thing outside near the trash bin. 2. Your hot water tank burns money. Turn it off and remember to switch it back on two hours before you take a shower. Go to the plumbing store and buy an automatic timer switch. Your lights burn money. Change to the new energy saving bulbs or better yet, buy several recharchable motorcycle batteries and hook up a few small LED lights to the batteries. Junk food burns money. Buy only the best but eat less. Your car burns money. With obvious limitations, such as winter and very long distance, I regularly use a light-weight twelve speed bicycle. I laugh at people who own cars and trucks as they are usually stuck in traffic. Have a happy future and relax, plant a spice garden and then sell the spices. Go to the library and check out Dave Ramseys' Total Money makeover. Listen to him on the radio and check out his website. Many churches offer his 13 week course. Debt is a symptom-change your behavior and you'll get/stay out of debt. Follow Dave's plan and you WILL have success. Can anyone tell me if this is still true? If you owed someone money and they never collect on the debt for the 1st seven years then the debt is null and void (like you had filed bankruptcy against it,) and they can no longer collect money from you? Do I really need a credit card? I am a divorced mother of two and wanted to get rid of some debt. Does it make sense for me to have a credit card? I'm wanting to close my credit card and just put money into a savings account. Would it be better to get my credit repaired by going down the list to pay off collections, charge offs, and other delinquent debts when I get my taxes, or shall I seek a credit counseling service, or a debt consolidating company, or should I wait til these reduced percentage choice offers come through the mail box? Please help me because I am truly suffering, I cannot get a loan. I am constantly rejected. How to become a debt free? Using this method of making larger payments on consumer debt and paying them off in sequence can work for many people. This is a guide about using snowball payments to get out of debt. This is a guide about dealing with credit card debt. 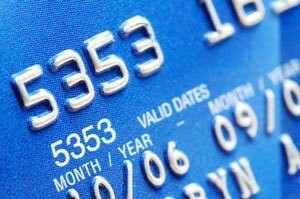 Do you have a large amount of credit card debit or is your interest rate really high? 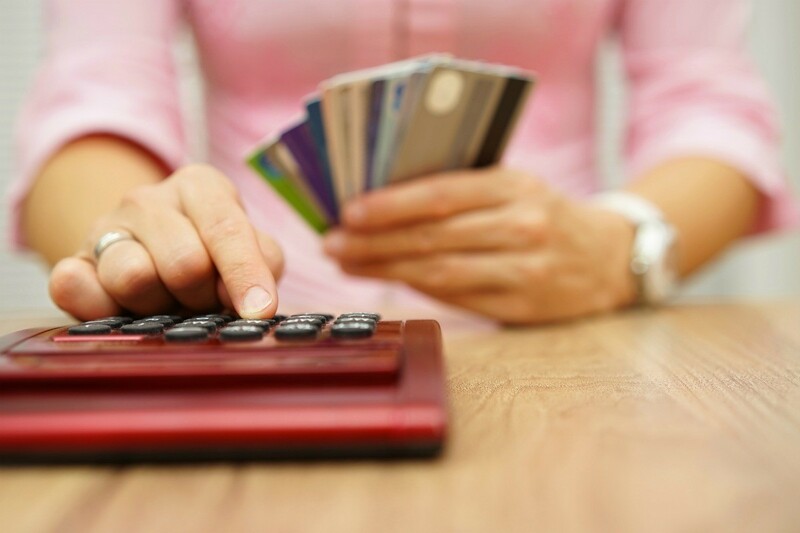 Here are some tips and advice to help you deal with your credit card debt. If your paychecks are being stretched, look for places to tighten the belt. This is a guide about struggling with a small budget. 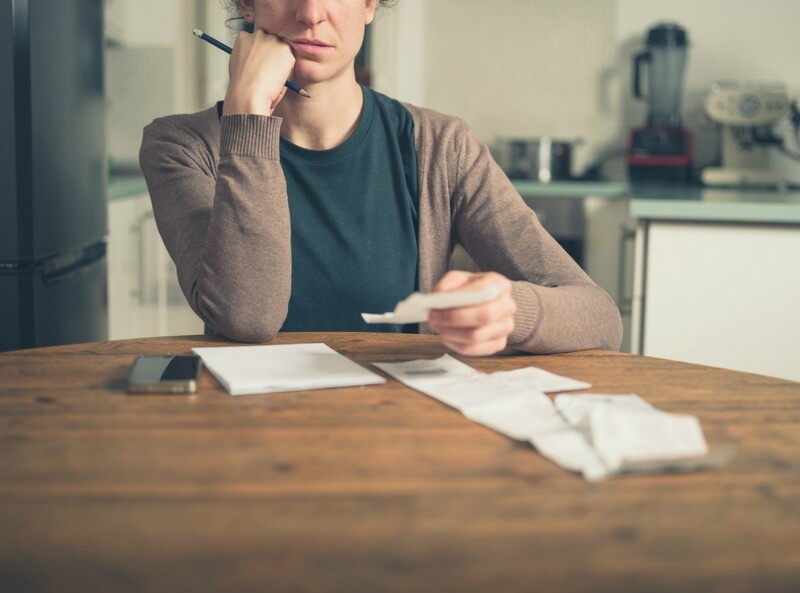 If your bills are higher than your take-home pay, it's time to get some help. This guide has advice about sinking in debt, more bills than income.